If you're looking to spend $2,000 to $2,500 a month, the Elise is a popular off-campus-apartment option. For upperclassmen looking to avoid GW residence halls, hunting for an apartment that won’t break the bank can be daunting, especially in D.C.
Home values in Foggy Bottom have increased about 5 percent in the last year, and the median monthly rent price in the neighborhood is $2,233, according to data from the real estate website Zillow. The cheapest housing options in Foggy Bottom will likely set you back $1,500 per month. Here’s a breakdown of the most popular apartments in the heart of the neighborhood and a price comparison to what you can get elsewhere in the District. In Foggy Bottom: The Statesman (2020 F St. NW), right across from package services, has studio apartments starting at $1,540. With no utility fee, walk-in closets and hardwood floors, these apartments are a great option when none of the upperclassmen halls fit your budget and you still want to live on F Street. Right around the corner are the Potomac Park apartments (510 21st St. NW), where you can rent a studio starting at $1,460, utilities included. Potomac Park has options as low as $1,830 for a one-bedroom apartment, though most will be in the $2,000 to $2,500 range. Both The Statesman and Potomac Park have rooftop lounges and allow cats. 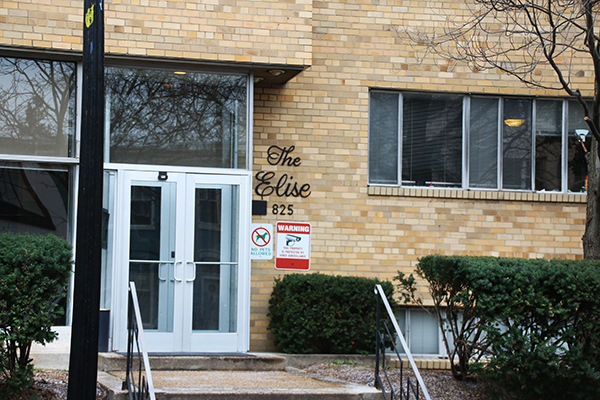 Near the other side of campus, behind GW Hospital, is The Elise (825 New Hampshire Ave. NW), one of the most popular off-campus options in the area. Studios start at $1,575, but only some utilities are included. Off Campus: While $1,745 is still on the lower end for studio apartments in Foggy Bottom, it is enough to rent a one-bedroom apartment in Rosslyn. Rosslyn Heights and Rosslyn Vue (1804 North Quinn St., Arlington, Va.) offer one-bedroom apartments complete with balconies, fireplaces, washers and dryers, and granite countertops – much nicer than the dorm-like studios closer to campus. In Foggy Bottom: This price range opens up some one-bedroom apartments that are still located right in Foggy Bottom, perfect for students not interested in a long commute to class or back from Gelman Library at 1 a.m.
At The Statesman, one-bedroom apartments start at $2,141 a month, still with utilities included. Though Potomac Park offers cheaper single bedrooms, the larger options (up to 852 square feet) range from $2,155 to as much as $2,820. For The Elise, you can expect a one-bedroom apartment to be about $2,000 a month. Off Campus: Instead of settling for the older apartment complexes in Foggy Bottom, consider living a short Metro ride away in NoMa. The new 77H apartment complex (77 H St. NW) is located right near Union Station and directly above a Walmart. With 9-foot ceilings, floor-to-ceiling windows, balconies and a rooftop swimming pool, it might be worth the commute. In Foggy Bottom: Conveniently right above Whole Foods is the Residences on The Avenue (2221 I St. NW), the priciest of apartments right in Foggy Bottom, but also arguably one of the nicest. Studios start at $2,308, and the rent for a one-bedroom apartment can be as low as $2,660. Utilities are not included. Perks include stainless-steel appliances, balconies, a fitness center and that famed rooftop pool. 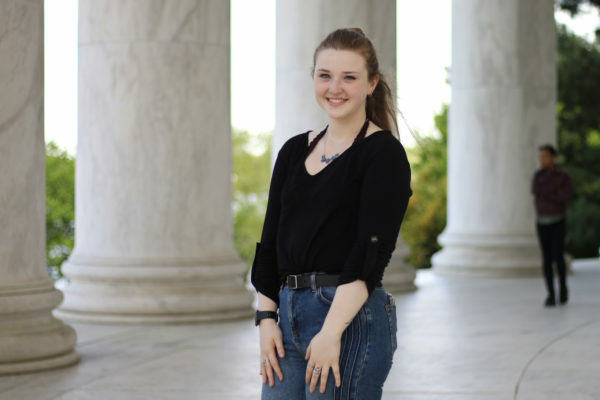 Off Campus: If you’re looking to escape the Foggy Bottom bubble, try moving to Dupont Circle. For $2,555, the Gables Dupont Circle (1750 P St. NW) offers one-bedroom apartments in the heart of the neighborhood. The apartment building has its own private courtyard, volleyball court and cafe.